1. I just stumbled upon your shop. Am I in the right place? Veni Etiam Photography is an online shop where you could buy original and inspiring photographic art as home decor, corporate decor, restaurant/café decor or as gift items for you and your loved-ones. My products blend the principles of art, innovation and customization. All photographs are the fruits of my travels and my musings. They are printed on traditional or modern mediums such as fine-art paper, canvas, acrylic, aluminum or wood, and can be customized in the client’s desired size, finish and wall-mount. I am always happy to answer any questions or settle any doubts! I specialize in travel, urban and daily life photography. My photographs are meant to make you feel something, to make you dream of a place you’d love to travel to, or nostalgic of a place you know and love. ​then YES, you’re in the right place and I am so happy you’re here! 2. ​Are these stock photos? ​No. Each and every photograph was taken by me and is exclusively available for purchase on my website or my Etsy shop. Every photo has a title and caption, and often a story to tell. All photographs are copyright protected and any use or reproduction is strictly prohibited. 3. Do you sell your photos as digital products? ​Unfortunately, no. The photographs that are presently in the Veni Etiam collection are designed as physical products only. I do not sell digital files or licenses for my photographs to be used, reproduced or modified by others. If you have special requests for a digital photo that is not part of the collection (e.g., if you would like a type of photo for your organization or blog), please send me an e-mail. 4. I would like a product in another size. Is it possible? Yes! You can choose from various sizes from a drop-down menu. If a size is not listed, just get in touch with me specifying which image you would like in which size, so that I could let you know whether it is feasible and give you a customized quote. In some cases, not every size is possible due to cropping (e.g., square) or orientation (e.g., if the image is in vertical orientation) or due to resolution (e.g., if you are looking to go bigger than what is listed online). 5. I would like a product in another medium. Is it possible? Yes! If you are overwhelmed by the options or are unsure about how a style would fit the chosen image or your style of decor, just drop me a line. I’d be happy to assist you. 6. ​I would like a product in another color. Is it possible? ​Depending on your request, I may accept to modify the photograph. For example, I can create black and white versions of a color photograph. 7. ​Do you sell frames? YES! I do sell frames with my art prints but I only offer simple wooden frames (in black or white) without a mat. If this is what you want, please be sure to select the FRAMED ART listing for purchase. Unless otherwise specified, if you order a fine-art print, it comes unframed (packaged in cellophane with a cardboard backing). If you prefer a different kind of frame, stores like Michael's, De Serres or Ikea might work for you. If you are in Montreal, I recommend custom framers like Affiche en Tête for your frame design needs. If you order a canvas or aluminum (metal) print, you may select a framing option. Customize your order by sending me a message. 8. If I send you my own photograph, could you print it? Unfortunately, no. The concept of Veni Etiam is to offer my own photographic art as wall decor. 9. How do I know which medium to choose? To guide your choice, you will find extra information on every medium at the top of every category page. For example, if you click on “acrylic”, you’ll find a link in the text description that will take you to a page with previews and a lengthier description of acrylic products. You may also view the Products at a glance page for extra information or peruse my Etsy shop for more previews of products. If you are looking to build a gallery wall, please ask for help and I can send you previews to help you mix and match prints. If you are wondering about whether a particular image will look good on a particular medium, send me a message and I’ll give you my advice! 10. Help! There is so much to choose from, I can't make up my mind. Generally-speaking, go with your gut and don't be afraid to take the plunge. I work hard to ensure that you will LOVE what you order and that what you see / read is what you get! If you’re unsure of whether something fits your style of decor or an existing gallery wall, feel free to e-mail me a photo of what you are trying to match, and I will give you my advice! There is also the option of ordering a custom bundle of prints (and saving on your total) if you can't settle on one. 11. Where are your products made? ​All wall-art and fine-art prints are produced and packaged with love in Canada. The photographs are taken around the world. When you order a print or any larger wall-art, an insert will accompany it, with a title and short caption which also shares where the photograph was taken. 12. Do you ship internationally? Yes! Shipping is set to Canada and US, but I do regularly ship internationally. Just e-mail me with your requested order and I will get you a custom shipping quote. I prefer to ship with tracking and signature options for safety. Please note that Veni Etiam Photography is not responsible for incorrect addresses or lost / stolen packages. 13. Do you accept returns? ​As a perfectionist and someone who is committed to your satisfaction, I double-check the quality of every item at every stage of the process. If you receive your item and it is defective, please e-mail me with a clear photo of the problem within 7 days of having received it so that we may find a solution. 14. 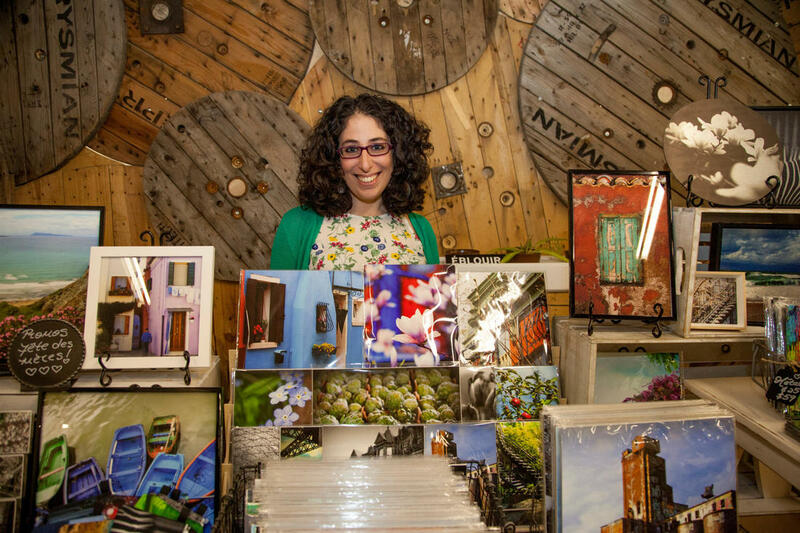 Do you do shows and sell your work in shops? Yes and yes! Follow the blog and subscribe to the VIP list to keep up to date about events, stores and partnerships. If you live in Montreal, see the "Montreal collection" for a list of stores where you can find some of my fine-art prints. 15. Do you do event or portrait photography? Sometimes, I do. If time allows and expectations fit with what I can comfortably deliver, I am happy to provide this service in Montreal. Please fill out this inquiry form to receive a reply with pricing and other information. Follow me on Instagram (#fromplacestofaces) from sneak peeks of some portrait or event photography adventures. 16. Do you do commercial photography? Unfortunately, no. Commercial photography is not something I’m undertaking for now. 17. Do you speak French? YES! All products are bilingual (English and French). I try to consistently write social media posts in both languages as well, but some blog posts are in English only, as it is the language in which I can write most creatively. I am happy to communicate with you in whatever language you prefer (English, French, Italian, Spanish, German, Dutch or Armenian). If all else fails, we’ll draw doodles and use our hands! 18. For how long have you been a photographer? Veni Etiam was born out of my love for travel, for photography and for inspiration. My deepest passion is writing. I love to write, more than anything in the world. I think that my photography developed to complement my writing, rather than the other way around. I am a scientific researcher by profession; I research the neuroscience of multilingualism. For more on the fusion of my scientific and creative sides, check out one of my earliest blog posts. I have been an avid traveler for a number of years and have been seriously taking pictures since 2007. It was only in 2014 that I discovered my desire to share my photographs and stories with the world. I launched Veni Etiam Photography in January 2015 and opened both my web shop and my Etsy shop. 19. Do you accept corporate orders? YES! If you are interested in decor for corporate spaces (offices, banks), real estate (lofts, condos), in the food industry (restaurants, cafes, bistros) or the tourist industry (hotels, airports), please e-mail me to discuss possibilities and wholesale pricing. 20. 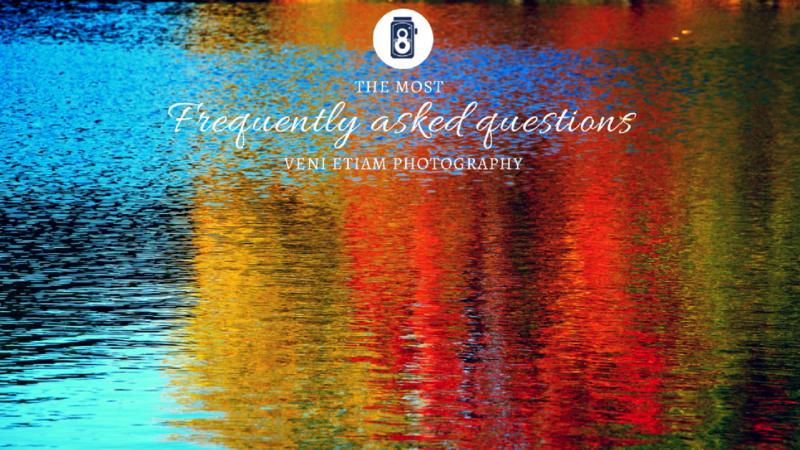 Why is Veni Etiam Photography special? Veni Etiam offers a fresh spin on photography for home decor, one that is based on color, texture and mood, and one that evokes feeling. Each piece can be printed on a variety of high-quality mediums, from traditional fine-art paper, to brushed aluminum, acrylic or wood. The collection is always growing and none of the pieces are ever mass-produced. There is truly something for every taste, personality style of decor. Write me! I would love to hear from you!